Your skin’s arch nemesis, the acne has the intolerable habit of showing up just before that party you were looking forward to. But you cannot allow that ache to spoil the show for you. You need to get rid of it as soon as possible. You must not burst it as it will harm your face more than doing any good. You can however use toothpaste as a solution to your problem. Given below are some methods of using your toothpaste for acne treatment. Does Toothpaste Get Rid of Acne? This is a natural question crossing your mind right now and here is your answer to it. 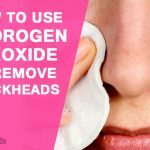 Hydrogen peroxide witch hazel baking soda and alcohol are some common ingredients found in toothpaste which help to reduce the acne. Moreover, it also contains triclosan, which extremely effective at removing germs. The menthol helps in reducing the swellings. As already stated toothpaste has proven pretty effective in curing acnes –being an easily available product is used by all and it has provided positive results. It easily cures nearly all types of acne. However, if you are allergic to any of the compounds found in toothpaste, then it may not have the same effect it is supposed to have. For this treatment do not use gel based toothpaste or the teeth whitening ones. This treatment is very effective as it dries out the acne and reduces healing time. Mix together baking soda along with water and toothpaste. Apply it on the problem areas of the skin. Let the paste dry on your skin for a few minutes to around 20 odd minutes. Best time to do: Morning or Before bed. 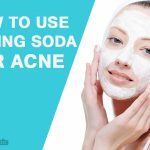 Repetitions: Follow this method until you are rid of the acne. Salt helps to remove the impurities and excess oil from the skin. Follow the following steps while applying toothpaste and salt. Mix together salt with toothpaste. Make it into a fine paste and then apply it on the problem areas. Scrub it very gently for a few minutes and was it off with water and leave it to dry. Repetitions: Continue the process at least twice a day, regularly till the acne are gone. Aspirin is a powerful anti inflammatory and helps in reducing the pustules. Crush one aspirin, mix it with a little bit of water so that a smooth paste can be formed. To this add one teaspoon of toothpaste. Mix it till a smooth paste is formed. Apply it on affected areas and keep for five to ten minutes. Rinse it off and pat dry your face. Repetitions: Apply regularly till acne is reduced. Use freshly squeezed lemon juice; one teaspoon. 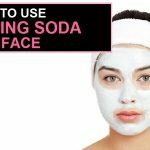 Mix it with one teaspoon of toothpaste. Make a smooth paste. Apply it over your acne overnight. The pimple will be much reduced the next morning. Repetitions: Apply till the pimples are gone. Honey reduces any skin irritation caused by toothpaste. It is a naturally available anti bacterial component. Make a light mixture with toothpaste and honey. 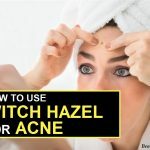 Gently apply this mixture over the acne. Let it dry for twenty to twenty five minutes. Wash it and leave it to dry. Repetitions: Repeat the method once daily for a regular interval to see improved results. Mix equal amount of rubbing alcohol, cornstarch and toothpaste and make it an even and smooth paste. Apply this paste on the problem areas. Mix one single teaspoon of Listerine and one single teaspoon of toothpaste. Make an even and smooth paste and apply it on problem areas. Repetitions: Apply regularly to avoid acne. Avoid teeth whitening pastes as they have excessive sodium, that can burn sensitive skin. Toothpaste tends to dry your skin so use it with precaution. Do not use toothpaste if skin is too sensitive. If problem persists then consult a doctor. 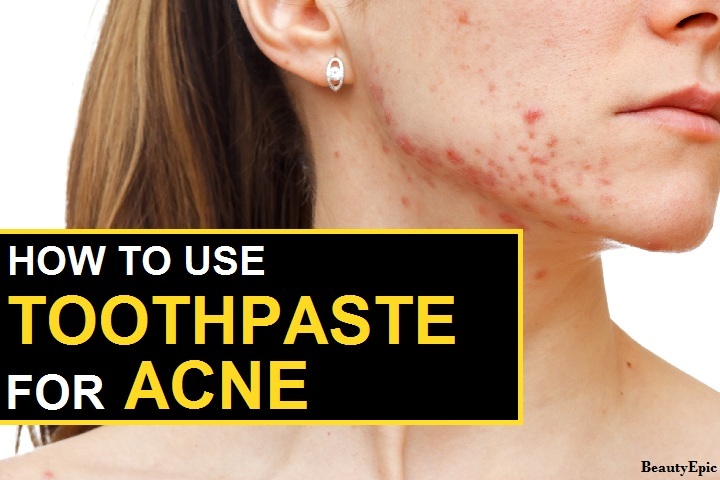 The use of toothpaste for acne is a very useful and cheap home remedy for anyone. One must remember that it is not a permanent cure for acne. This is only a temporary alternative.